German Restaurant in London. Serves lunch, dinner and drinks. Austrian / Viennese coffee house and restaurant based in Camden Passage, Angel. Serves breakfast, brunch and German cuisine. 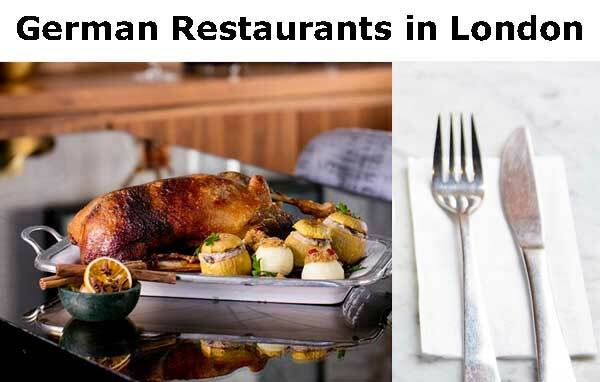 Austrian Restaurant in London, United Kingdom. Fischer’s is an informal neighbourhood restaurant with a classic Viennese café menu and runs from breakfast to morning coffee, through to lunch, mid-afternoon snacks and a full dinner service. German Restaurant and German Pub – London and Bristol. Serves Bavarian food menu. Majority of its menu is sourced fresh from Bavaria every week by the German chefs. Austrian alpine restaurant, bar and nightclub in the heart of Kensington. 2A Kensington High Street, London, United Kingdom. Page updated : 06th May, 2017.